Through creative play we connect with the source of vitality and radiance that is always at the core of our Being. 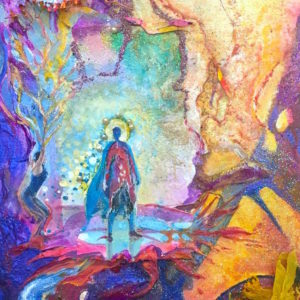 We’ll use collage and theatrical improvisation to discover and embody the inner archetypal energies that can heal, nourish and guide us. 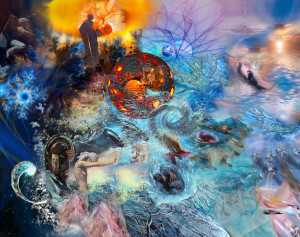 The collage process opens the channel of communication between YOU and your SOUL. In a fun and playful atmosphere we create collages using magazines, colored paper, paint, glitter and yarn, etc. We then use ‘right brain’ exercises to explore our images and discover their messages. Our spontaneous imagery bypasses our rational mind, revealing what our deeper self wants to express in our lives. Through simple and spontaneous collage images we access inner wisdom and catalyze our growth. Absolutely no talent, experience or artistic tendencies required. Dana Lynne Andersen has been teaching collage since 1987. Over the years she has shared this soul stirring and spirit inspired approach with hundreds of students from around the world. 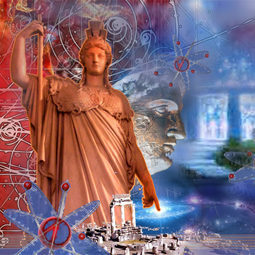 Dana has a Masters Degree in Consciousness Studies from John F. Kennedy University and she has taught and exhibited worldwide for over 30 years. She is known as a powerful and loving teacher. Her collage courses began in Berkeley 1987 at “HeartCore Studio”, a multi-modality expressive arts center founded by Dana. She is currently the founding director of Awakening Arts Academy with centers near Assisi, Italy and Portland, Oregon USA.